It's now the third week of 2016 and it's been a great, yet busy start of the year. 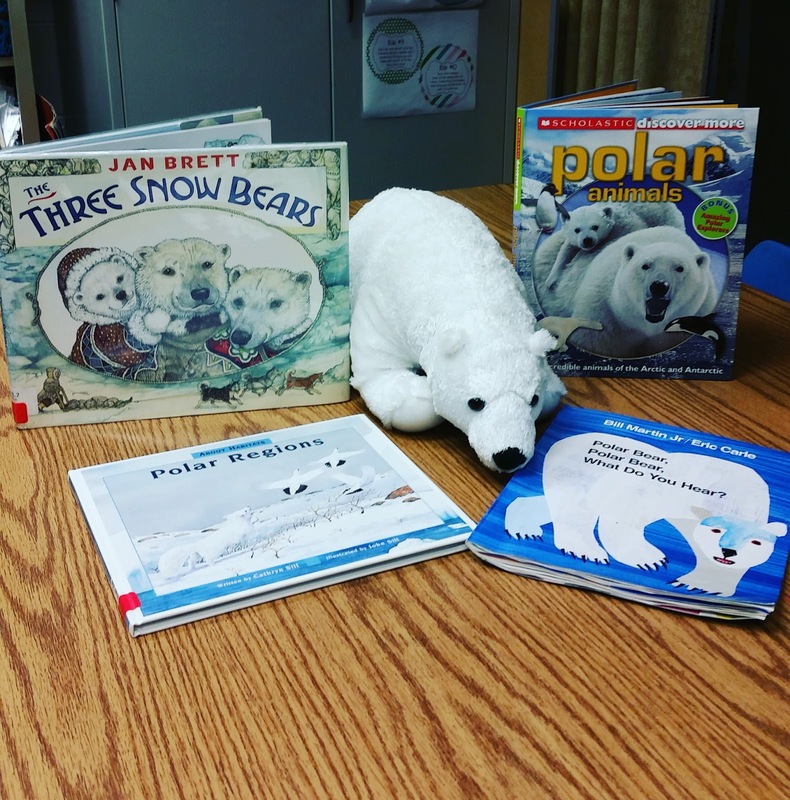 The artic blast is in full effect here in Atlanta which makes for great winter story telling in speech-language therapy sessions. Here's a snapshot of a few winter themed selections that I'm using in my speech language room this year. 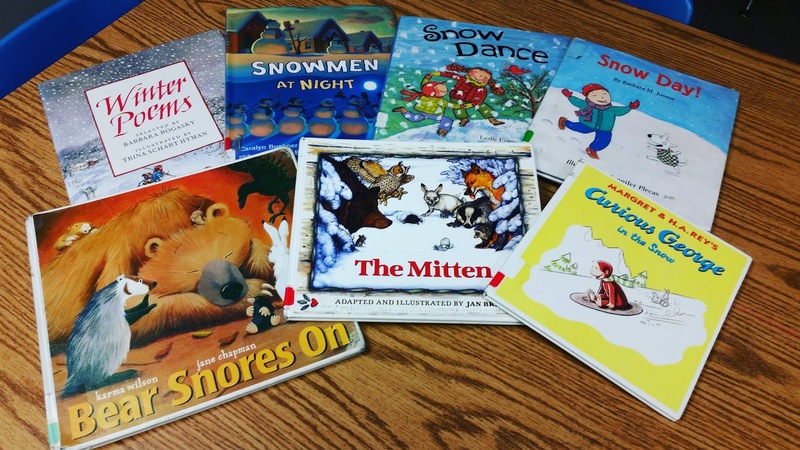 The Mitten, by Jan Brett, is one of my favorite stories to read aloud at this time of year. I recently created a speech-language activity pack with 5 extension activities to accompany this book. My students enjoyed the book as well as comprehension and vocabulary activities last week. 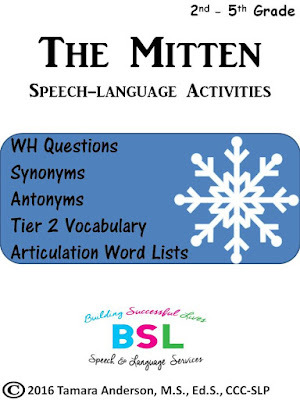 This speech-language activities pack is geared towards improving the language comprehension, vocabulary, and speech articulation skills of children in 2nd-5th grade. 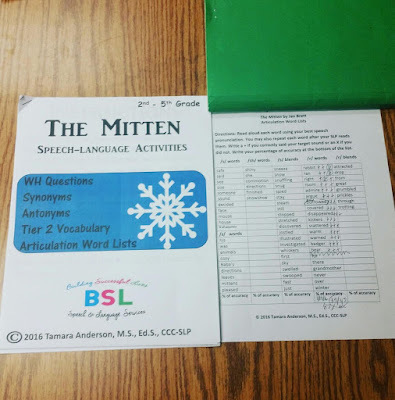 The activities should be used after an SLP read aloud of the text. Select the activities that best correspond with the learning needs of children on your speech-language therapy caseload. 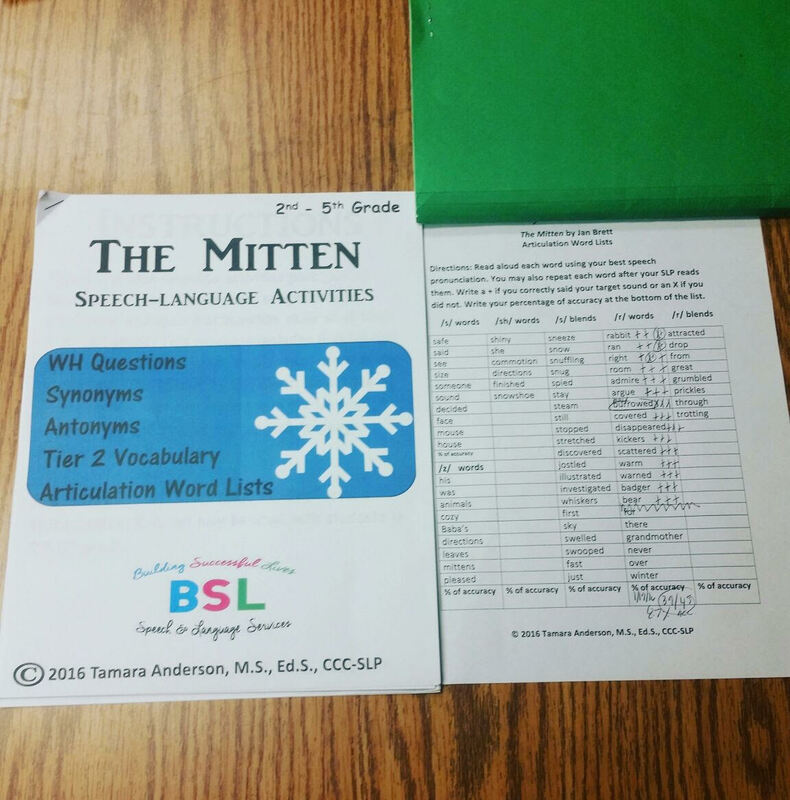 The Mitten has an "accelerated reading" level of approximately 3.9, but may be used with students in 2nd-5th grade. Today I used my articulation word list while a student played my Winter Land Game in a group session. The student had her own copy while I provided auditory bombardment with verbal model of correct pronunciation. She had plenty of speech articulation practice with mixed /r/ words. Here's a snapshot of a completed checklist. Here's a snapshot of a few more winter themed books that I love reading aloud to my students. You can read more about my favorite winter themed selections here. 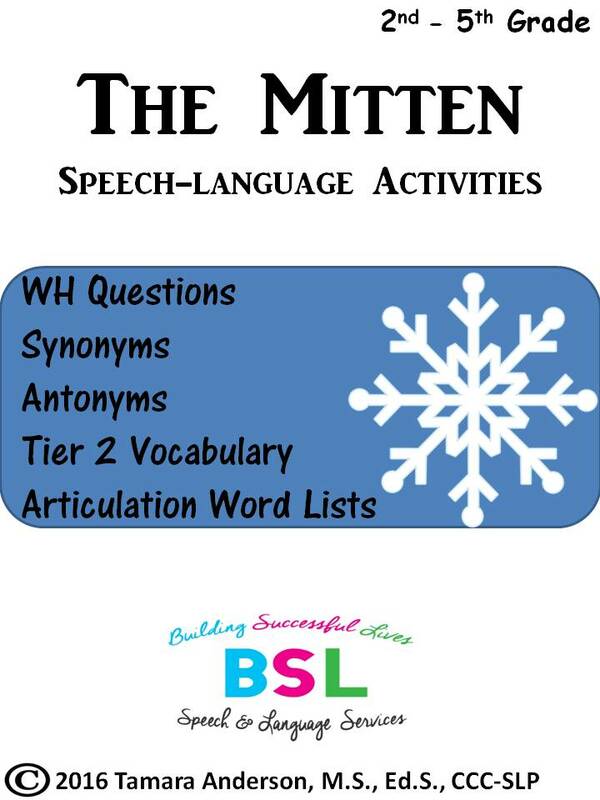 Make sure that you get the digital download for The Mitten Speech-Language Activities in my TPT curriculum store.